WAIOHULI, MAUI – For the past two years, Maui’s Emma Yap has organized Waiohuli Undivided Interest lessees to take a more proactive role advocating for undivided interest lessees at the Department of Hawaiian Home Lands and in front of the Hawaiian Homes Commission. 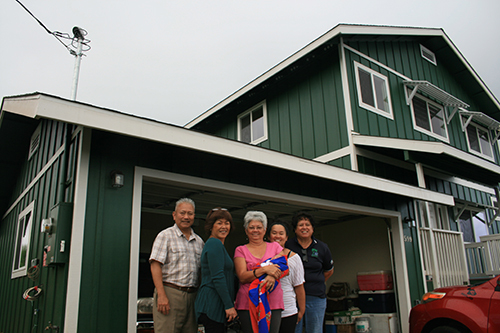 All that hard work and persistence paid off for Yap, personally, when she moved into her five-bedroom home in Kula, Maui, yesterday. Yap, her husband Travis, and their two-week old daughter Makahiapo, celebrated with family and friends at a house blessing ceremony in the Hawaiian homestead community of Waiohuli on Sunday. “We need more leaders like Emma to be role models of community leadership in our Hawaiian homestead communities,” said Mona Kapaku, Administrator for the Department of Hawaiian Home Lands’ Maui District Office. 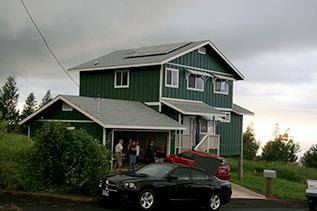 Earlier last week, Kapaku handed Yap the keys to her Waiohuli Hawaiian homestead. “The steadfastness and persistence of the organization and of Emma herself really shows why we’re here today,” said Kapaku. 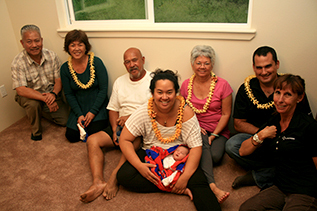 Yapʻs parents Meilani and Norman Abihai are also Hawaiian homestead lessees in Kula, and joined their daughter to congratulate her on this new chapter in her life. 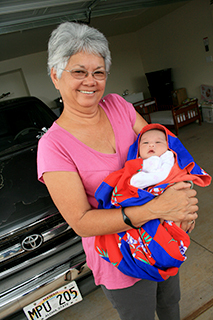 “To me, the timing of the house and the birth of the child, is all in Godʻs plan for her (Emma),” said Yapʻs mom Meilani, as she held her first granddaughter. Yap’s father Norman transferred his Undivided Interest Lease to her back in 2005. Yap is one of 25 Hawaiian homestead lessees who have taken part in the Waiohuli Undivided Interest Lessees Relocation Program. 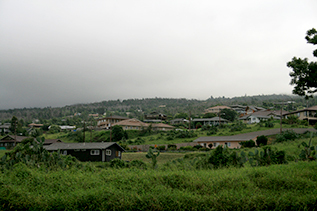 The Department is currently in the process of securing a contractor for another 45 homes in the relocation program for over 300 Waiohuli undivided interest lessees.